Dr. Sarita Channawar, with over a decade of experience is a full time Consultant in Obstetrics & Gynaecology. She completed her MBBS from Govt Medical College, Nagpur and later went on to persue M.S (Obs & Gynaec) at Bombay Hospital Institute of Medical Sciences, Mumbai. Dr. Sarita has a number of Presentations & Publications to her credit.Dr. Sarita has attended numerous CMEs & Conferences at local & National Level. 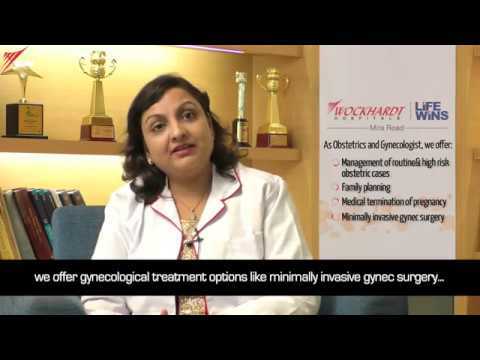 She is a member of Mumbai Obstetrics & Gynaecology Society (MOGS) & FOGSI. She has been well-trained in vaginal instrumental and caesarean deliveries for obstetric cases and gynaecological procedures. Live Operative Workshop on Minisling and Prolapse treatment. Trained for diagnostic & operative laparoscopy, endosuturing. •	Well trained for complex as well as routine surgical management of Gynaecology including hysterectomy surgery , prolapse surgery, incontinence surgery, surgery for fibroid uterus, endometriosis, ovarian cysts etc. •	Trained for Laparoscopic procedures like family planning surgery of tubal ligation, diagnostic and operative laparoscopy & hysteroscopy for infertility, ovarian cysts, ectopic pregnancy and common gynaecological conditions.